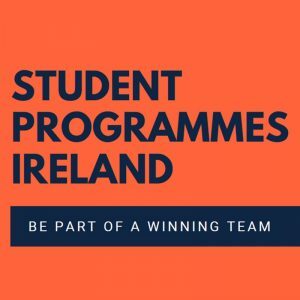 An academic semester, or year in Ireland, provides students with an invaluable opportunity for personal development, increasing cultural knowledge and awareness, and gaining confidence in spoken and written English. The School Programme is open to students aged 12-18 years who wish to learn English in Ireland. The programme is available at a wide variety of schools throughout the country. The Irish educational system offers a broad range of academic subjects, and the atmosphere in our chosen schools is caring and supportive. All students are placed with host families near the chosen school in many different locations throughout Ireland. We endeavor to enroll only one student of a nationality per class. We only allocate one student per host family so as to provide each student with a real Irish Experience. On arrival, orientation which covers programme issues, cultural introduction to life in Ireland, living in a host family, culture shock and problem solving within 10-14 days of arrival in the host community. Full board and lodging with a host family for the duration of the academic semester or year. (Excluding Christmas Holidays). All families are personally chosen by the SPIL team and are selected on the basis of their interest in educational exchange and their ability to provide a positive home environment. Host families in Ireland receive a non-commercial hospitality allowance. Each student will have at his/her disposal his/her own bedroom in the Host Family which will also be furnished with a desk for study purposes. 24/7 emergency number and Coordination Services.